str = "this is\tstring example....wow!!!" 原始字符串: this is string example....wow!!! 替换 \t 符号: this is string example....wow!!! 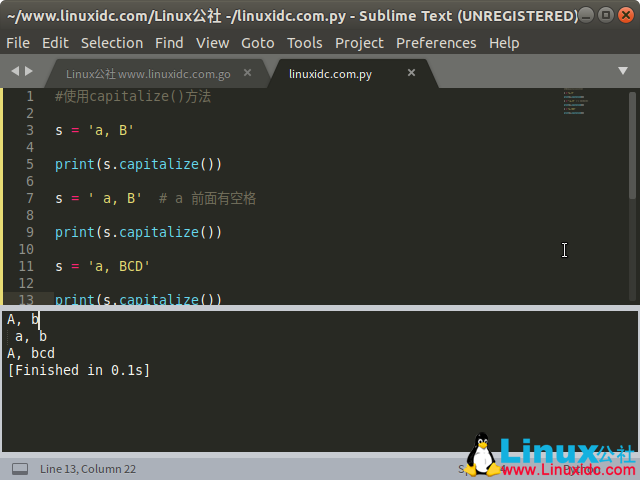 使用16个空格替换 \t 符号: this is         string example....wow!!! str = "This Is String Example...Wow!!!" str = "This is string example....wow!!!" s1 = "I'm a good sutdent." str1 = "this is really a string example....wow!!!" str = "     this is string example....wow!!!     " str = "*****this is string example....wow!!! 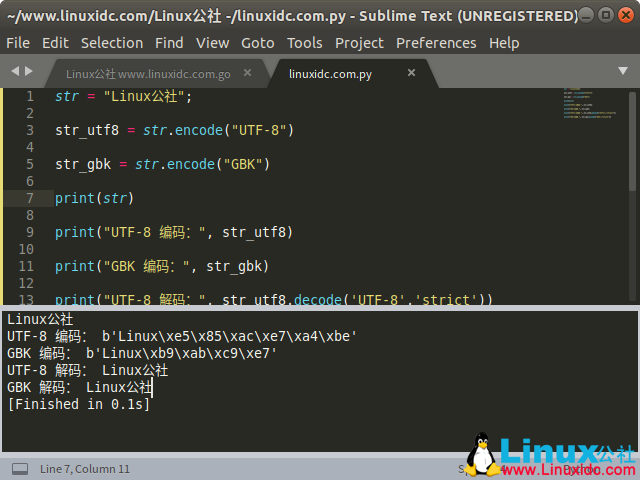 *****"
str = "this is string example from linuxidc....wow!!!" This Is String Example From linuxidc....Wow!!! 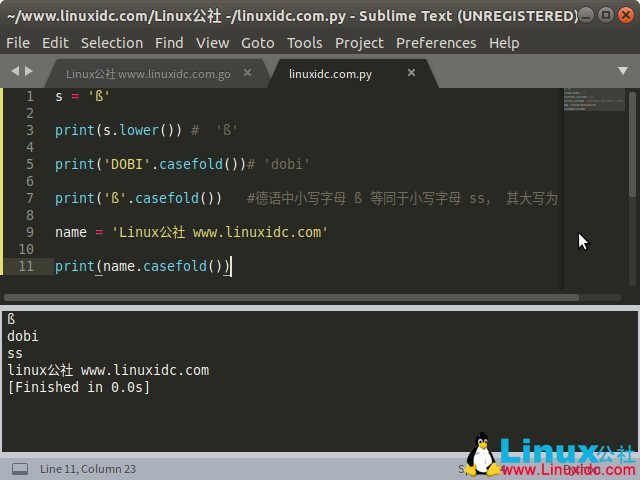 str.upper() :  THIS IS STRING EXAMPLE FROM linuxidc....WOW!!! str.zfill :  this is string example from linuxidc....wow!!! str.zfill :  000000this is string example from linuxidc....wow!! !